IVF scratching: Are women putting themselves through a painful procedure for nothing? In January 2019, there was an excellent randomised trial published on endometrial scratching prior to IVF. This procedure goes back many decades when women had a curette and many seemed to be more fertile afterwards. The idea of a scratch as a more refined procedure was taken up enthusiastically but this latest excellent study suggests that it should not be used so widely. However, we must also remember that the uterus is an essential place for the pregnancy to develop and we must always be thinking about its suitability for embryo implantation. This requires some kind of examination and the benefit to IVF may be more complex than simply scratching the lining. For example, the passing of a catheter or tube through the cervix to dilate the cervical canal can make embryo transfers easier or can help the Clinician in determining whether there is a problem in the cervix. Many scratch biopsies are done in the context of a hysteroscopy when other important problems such as polyps or adhesions or uterine congenital abnormalities can be discovered and treated. Furthermore, an embryo scratch biopsy can also be used for tissue diagnosis for critical factors such as hyperplasia, endometritis and immune studies. Clearly, the routine undertaking of the scratching went too far and it would be wrong to think scratches should be done prior to every cycle as this data shows. Equally though, especially in those with repeated IVF failure, further exploration of the uterus is essential. It should be done on a limited number of occasions and the Clinician should try to obtain as much information as possible from such an invasive procedure. In summary, a scratch should be reserved for those that repeat IVF failure and then as part of a wider assessment. Michelle Ross would have done anything to have a second child. After enduring years of heartbreak and disappointment, the 33-year-old finally turned to IVF for help. “I lost eight babies in 12 years. We had tried for so long. We were happy to do anything we could to get pregnant,” she said. She said doctors told her it was unlikely she would have another baby because she had severe endometriosis. When she was told a painful procedure called endometrial scratching might boost her chances of conceiving, she did not hesitate. “They told me the scratching made the uterus more sticky during IVF,” she said. A doctor inserted a catheter into Ms Ross’s uterus and used it to superficially wound the lining. The theory is that the scarring causes inflammation, which makes it easier for embryos to implant in the uterus. Ms Ross described endometrial scratching as eight out of 10 on the pain scale. “I was in pain for a week,” she said. 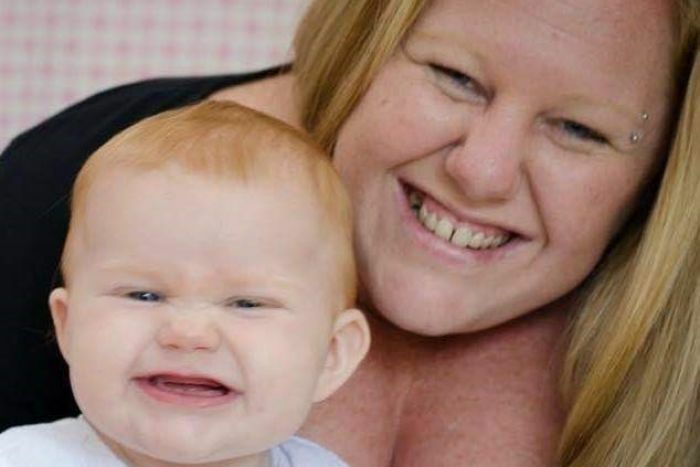 She got pregnant a month after the procedure, and went on to have a healthy baby girl she named Jessica. But a new global study has cast doubt on whether the procedure played any role in Ms Ross’s successful pregnancy. A group of fertility researchers from around the world compared the number of live births from women who underwent endometrial scratching to those who didn’t. Of the 1,364 women studied, 180 women had babies in the group that had endometrial scratching, while there were 176 births in the control group. 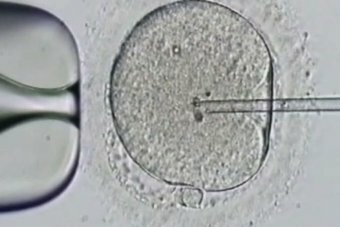 Researchers concluded that the procedure, which is widely offered by clinics across Australia, did nothing to boost a woman’s chances of getting pregnant through IVF, describing it as “painful and pointless”. Study lead Professor Cindy Farquhar from the University of Auckland said it was clear the procedure did not boost a woman’s chance of giving birth. “On the basis of this study — which is the biggest and most robust to date — we would encourage IVF clinics to stop offering it,” she said. The research has been published in the prestigious medical journal, the New England Journal of Medicine. 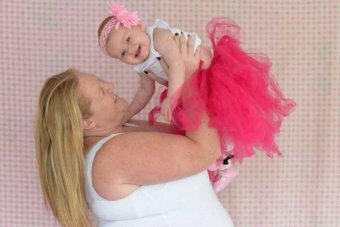 More than 80 per cent of Australian fertility clinics offer endometrial scratching, usually to couples who have failed to get pregnant after several rounds of IVF. The procedure can cost up to $700. “This study provides the opportunity to tell patients that the evidence doesn’t stack up,” said Louise Johnson, head of the Victorian Assisted Reproductive Treatment Authority (VARTA). VARTA offers support and information to couples struggling with fertility. Ms Johnson believes many would-be parents are desperate for success, and may put themselves through dubious procedures in a bid to get pregnant. “Couples going through IVF are extremely vulnerable, and clinics have an obligation to inform patients about treatments that can cause pain and won’t increase the chance of conception,” she said. Obstetrician Professor Ben Mol from Monash University said doctors had been offering couples the scratching procedure for many years, despite a real lack of strong scientific evidence that it worked. “It is great news that we now know that this technique does not help,” he said. He said other add-on IVF treatments such as steroids and treatments to reduce immune cells in the uterus should also undergo better evaluation. “The concern is that there are more of these add-on therapies offered without a sound scientific base, and many will turn out not to be effective once properly evaluated,” he said. Professor Luk Rombauts from the Fertility Society of Australia, which represents medical staff working in fertility clinics, said the study findings will change what advice is given to IVF patients. “I would no longer recommend [endometrial scratching] for patients who come through the door for IVF,” he said. However Professor Rombauts said some patients who had already had the scratching before becoming pregnant through IVF may still want it. “I would like to think doctors would tell patients about the risks and benefits and the best available evidence,” he said. Ms Ross said she would never know for sure what impact the scratching procedure had on her body, but believed it helped her conceive. “I really don’t know if it helped, but I would ask for it again if I ever had IVF again,” she said.